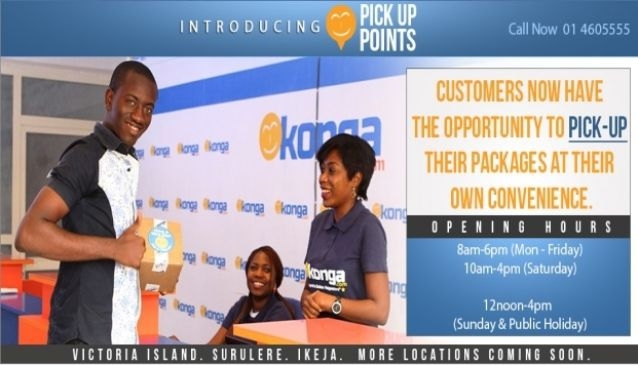 Konga holds pride in being Nigeria's largest online shopping mall which seems right seeing as you can get a whole variety of items from Konga attached with the sweetness of being delivered to your doorstep. Ranging from Fashion, Phones, Computer & Electronics, Beauty & Personal Care, Home & Kitchen items, Baby, Kids & Toys, Clothing and Accessories, Feeding and Nursing, Beddings and Decor, Travel, Fitness, Health and Safety, Daily care, Music, Movies & Games, Sports, Books & Stationery, Food & Drink, Automotive & Industrial, Mobile Recharge etc. There is hardly any item you seek that you would not find on Konga, yes its that great!, its a great online spot to run your shopping activities so its best you sign up on there and get your cart ready for a great shopping experience.